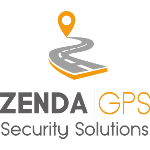 Established in 2016, Zenda GPS is an innovative tracking solutions provider. Our goal is simple, make quality GPS trackers available to everyone at an affordable price. We offer a complete understanding of GPS tracking solutions, as our team members have years of extended experience in the GPS industry and related service operations. Our R&D team consists of more than 30 professional hardware and software engineers with more than 10 years of experience in their field. Product designing, prototyping, integrating and testing is maintained at a high standard in order to ensure that our products are integrated in a smooth and timely manner for your business.